(JTA) — Terrorist attacks in Jerusalem doubled last month compared to August, according to Israel’s security agency, the Shin Bet. There were 26 attacks in the capital in September, compared to 13 in August, the Shin Bet wrote in its monthly report for September published this week. 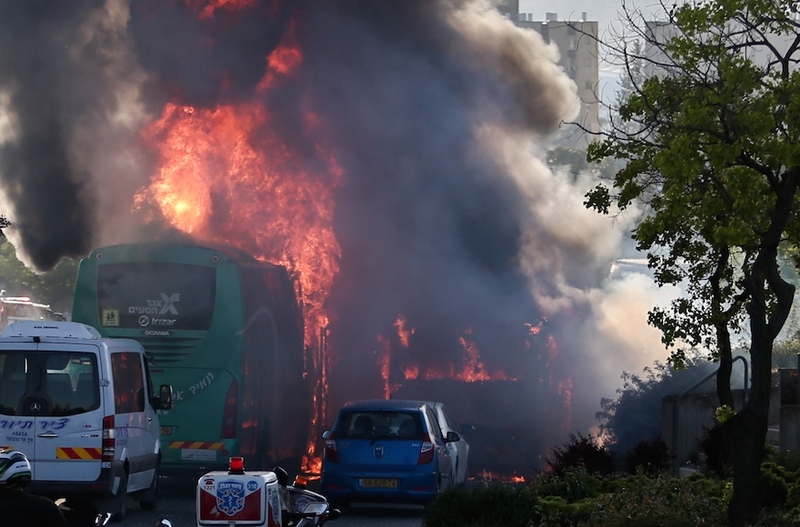 The number of attacks perpetrated against Israelis in the West Bank remained unchanged at 78. With the increase in Jerusalem, the total number of attacks against Israelis in September rose to 109, constituting a 17 percent increase over the 93 attacks recorded in August. The August figure was the lowest monthly tally recorded since March 2015 and the first dip since then below the 100-incident mark. Ten Israelis were wounded in the September attacks, compared to seven in August. September saw no Israeli fatalities from attacks. More than half of the attacks in September involved the hurling of firebombs. Despite the increase in attacks in Jerusalem, the September tally was 47 percent lower than the average number of attacks carried out there per month since September 2015. According to the Palestinian Maan news agency, a total of 274 individuals died during the wave of unrest starting from Oct. 1, 2015, to Sept. 30 of this year, including 235 Palestinians, many of whom were killed while perpetrating attacks. During that period, attacks caused the death of 34 Israelis and five foreign nationals — two Americans, one Eritrean, one Sudanese, and one Jordanian. On Thursday, Israeli troops in the West Bank shot dead a Palestinian teenager who hurled rocks at a patrol, the Israel Defense Forces said. The incident occurred in the Beit Ummar area near the city of Hebron, a flashpoint for terrorist attacks. The Palestinian Health Ministry identified the slain Palestinian as 15-year-old Khaled Bahar. Earlier that day, a Palestinian man died from injuries he sustained in 2007 in clashes with Israeli troops, Maan reported. The Makassed hospital announced the death of Mahmoud Jawda, who had been treated at the Jerusalem medical center ever since he was shot multiple times by Israeli troops in Ramallah.